The drawings in the Van Herck Collection are essentially preparatory works for sculptures and sculpted ornamental church furniture such as altars, pews, funerary monuments, pulpits, confessionals and organ cases. The collection includes simple sketches, but also more detailed preparatory drawings. The terracotta pieces are, for the most part, small-scale models of sculptures that were to be made. 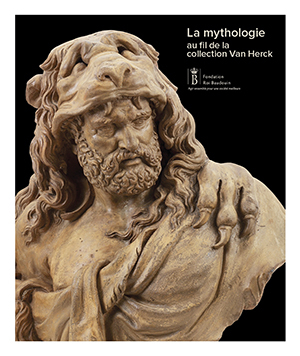 The works in the Van Herck Collection thus highlight the two preparatory phases of a sculpture or piece of liturgical furniture. In the 17th and 18th centuries, the creation of a sculpture was almost always a commission and so it was only executed after signature to a contract between the artist and the person commissioning the work. The contracts usually stressed the principle of the client’s approval of the concept. Such approval was in fact essential for the artist because material such as bronze and marble were so costly that the artist could not allow himself to realise a sculpture that did not fulfil the client’s wishes. The project might be presented as a preparatory drawing, although sometimes it was accompanied by a model of the future piece of sculpture. The preparatory drawings constituted the first phase in the creative process for a piece of sculpture. They all destined for the client, so that he could approve (or reject) the concept. The drawings had the advantage of being able to be easily modified. The marks and creases visible on the preparatory drawings in the collection show that these were real working documents which, during the preparatory phase and the process of creation, were passed from hand to hand, between the artist, client and sculptor. The preparatory drawings might be done by the sculptor himself, by painters, or even by members of the clergy. Quite often, after the client’s approval of the preparatory drawing, the artist would make a small, three-dimensional model in an affordable material such as clay (fired or not), wax or wood. Most of the sculptures in this collection are bozetti, rough models, and modelli, which are more detailed models. These illustrate the successive phases in the creation of a piece of sculpture. There are also the vidimi, which are models submitted to the client for legal approval and which therefore correspond exactly to the final sculpture that was to be made. The terracotta models were thus, above all, a means of enabling the person commissioning the work to have a good idea of how the final sculpture would look. The models were also used, however, as subjects for study by the artist and his students and they often continued to be used in the studio after the artist’s death, so that his ideas and compositions could be handed down to following generations.